Thoughtful design. Quality craftsmanship. Experienced builder. Your project completed on time and within budget. You deserve no less. From a simple home addition to the custom built home of your dreams, Laurin Builders believes that all projects, whether large or small, deserve the same professionalism and attention to detail. 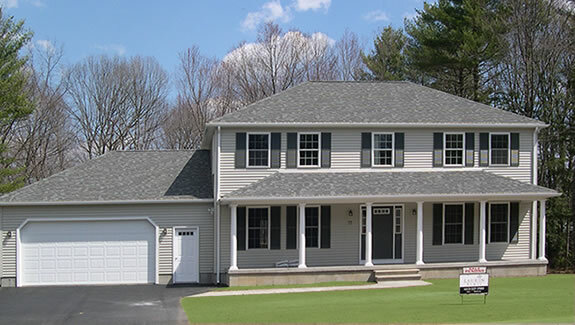 Laurin Builders is a second generation Western Massachusetts general contracting company with over 20 years of experience serving homeowners throughout the Pioneer Valley and Western Ma. Ron has been involved with construction for over twenty years. As a second generation builder he grew up working in his family’s general contracting business which focused on residential renovations, framing and remodeling along with new home construction and land development. This is where much of his hands-on skills and construction business knowledge were developed. Thinking about remodeling or building a custom home in Western MA? Laurin Builders has over two decades of home building experience, is committed to quality, uses only the best materials and trade contractors, and has the resources available to keep your project running smoothly. Laurin Builders also offers light construction services to commercial clients throughout Western MA.